acCELLerate develops and produces cell-based assay kits whose components are precisely tuned for various distinct applications. Setting a new standard for cell based assays is our aim: assays which are reliable and predictable but robust and convenient to use at the same time. acCELLerate kits combine top-notch assay technologies, reagents, consumables, and cells from partners and own development. Cells are always included in an assay-ready format. Users do not need to cultivate or even count the cells which are provided in frozen aliquots qualified for the particular purpose. Specialists might value the convenience to set-up the assay but even laboratories which are not experienced in cell culture techniques can run acCELLerate assays with reproducible results. Bioglobe GmbH was created in 2001 as a spin-off from a private research institution of international renown, the IHF Institute of Hormone and Reproduction Research. Bioglobe provides services in all areas of molecular genetics and is specialized in medical genetics, disposition genetics and services for academic research institutions and industry. Since its foundation, Bioglobe has also been continuously involved in publicly funded research and development projects. Among other things, these projects have concerned the development of new methods in molecular diagnostics, the discovery and research of biomarkers and the use of genetic knowledge to promote public health. Byosens GmbH was created at the beginning of 2015 as a spin-off from the Kiel University. Byosens has developed the first portable label-free reader. It has the same footprint as the microplate itself and is mobile due to its wireless connection and integrated battery. The Byosens Label-free Reader can be used for a wide range of cell-based analyses. Label-free detection can deliver real-time data on biological process, which is especially important for experiments on living cell assays. CLS is a provider of a wide range of Human and Animal Cell Lines as well as additional products, which have been isolated from those cell lines. In addition, we offer to conduct various analysis such as testing for absence of Mycoplasma infections or of cross contaminations. Founded in 2010 Colibri Photonics GmbH (CP) is an innovator of high-quality non-invasive micro and nano probes for optical determination of molecular oxygen in biological samples. With the help of the world so far unique system cell growth and differentiation in bio-reactors can immediately be monitored and controlled without direct intervention. The CP systems are far superior in these applications other optical and conventional electrochemical sensors. The target group of Colibri Photonics are primarily customers in the field of life sciences, which work in micro- and nano volumes. This includes manufacturers of lab-on-a-chip systems for cell-based assays - neurologists and oncologists, plant physiologists and developers of bioreactors for three-dimensional tissue engineering. The Fraunhofer Institute for Marine Biotechnology (EMB) views itself as your partner for the development of new technologies, processes and equipment in the fields of biological water quality monitoring, aquaculture technology, cellular technologies, culture of cells from cold as well as warm blooded animals, stem cell isolation and utilization, cellular test systems, online analysis of living cells and cell-based medical and laboratory equipment. The Fraunhofer EMB staff has started in 2004 to gain experience in the field of stem cell research from different organisms and organs and operates as a single Fraunhofer Institute in cooperation with the Fraunhofer IBMT a cell bank for wildlife creatures. The Department of Laboratory Automation and Bioproduction of the Fraunhofer Institute for Manufacturing Engineering and Automation (IPA) translates innovative biotechnology techniques and methods in optimized, (semi-) automated laboratory and production processes. Key goals are higher reproducibility, less external effects, more throughput while maintaining the laboratory flexibility and a more efficient handling of large amounts of data. Solutions contain sophisticated sterile conditions and are certified according to GMP or other environmental guidelines. These are just some of the requirements that are made in the development of automation solutions for the life sciences. This challenge addresses the Laboratory Automation and Bioproduction with an interdisciplinary team. Fraunhofer ISIT in Itzehoe, Germany, is one of Europe's most modern research facilities for microelectronics and microsystems technology. The heart of the institute is the 3000 m2 cleanroom, big enough to operate not only research projects but also to produce the developed microchips in industrial scale. The department "Biotechnical Microsystems (BTMS)" of the Fraunhofer ISIT is one of the worldwide leading groups in the field of electrical biochip technology. These arrays are useful for the detection of a variety of analytes within one probe simultaneously. User-friendly operability is realized by integrating the biochips into cartridges. 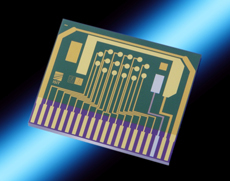 In combination with micro-fluidic components and integrated electronics, these electrical microarrays represent the basis of rapid and cost-effective analysis systems. They can be used to identify and quantify DNA, RNA, proteins, whole cells as well as haptens. 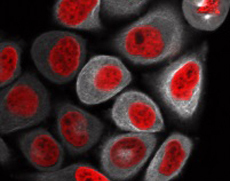 ibidi® GmbH, located in Martinsried near Munich, Germany, is a leading supplier of functional, cell-based assays, and products for cell microscopy. ibidi’s range of products offers solutions for classic cell culturing, and also complex assays (e.g., angiogenesis, chemotaxis, and wound healing). Their products help facilitate an understanding of the development of various diseases and related therapies. ibidi’s customers are working in scientific institutions, industrial pharmacology, and biotechnology. Technology development at ibidi is supported by the BMBF (Bundesministerium für Bildung und Forschung). The products are sold to customers worldwide. INNOVENT e.V. Technology Development Jena is a major non-profit research facility working on the main research areas of surface engineering, primer and chemical surface treatment, magnetic and optical systems, biomaterials and analytics and material testing. 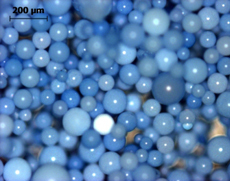 Applications encompass surface engineering of glass, metals and plastics, medical engineering, optics as well as microsystems technology including product and technology development. Based on a profound basic research INNOVENT conducts application-oriented research and development projects, generally in close cooperation with small and medium-sized enterprises but also with large, internationally active companies. Special attention is given to the development of CCVD, r-CCVD and plasma CVD technologies, but the classical low pressure coating processes are being applied as well. INNOVENT has broad experiences in the application and handling of public funded projects in cooperation with industrial companies and other research facilities. Many research projects are directly financed by the industry. Lophius Biosciences GmbH, a German biotech company, is focusing on the development and marketing of innovative T cell based diagnostic systems for diagnosis and immunomonitoring. The Company’s flag ship product is T-Track® CMV, a diagnostic system intended to determine the functionality of the cell-mediated immune response in cytomegalovirus (CMV) seropositive transplant patients who undergo an immunosuppressive therapy. With its innovative products, the Company aims to significantly improve therapy control and personalized treatment of patients in the area of transplantation medicine, infectious and autoimmune diseases. microsensys GmbH - RFID in motion: microsensys is a successful developer and manufacturer of technically sophisticated RFID system components. Founded in 1991 in Erfurt, microsensys is becoming the market leader for specialized RFID system solutions on the basis of a broad standard product portfolio in the frequency ranges HF and UHF. With this portfolio, consisting of different RFID transponders, innovative RFID sensor transponders and data loggers as well as smart low-power RFID read / write devices and user-friendly software tools, the high-tech company operates mainly in niche markets worldwide. The core competencies of the highly skilled development teams are sensor integration and miniaturization as well as special packagings and custom product design. The Provecs Medical GmbH is specialized in the development of therapeutic vaccines to open new treatment options for patients with advanced cancer and infectious diseases. Provecs’ proprietary ENVIRO technology addresses for the first time the microenvironment of diseased cells as the pharmaceutical target. The versatile and cost-effective platform technology is based on an adenoviral vector technology and can make biomolecules locally available, which would be toxic when administered systemically. Based on the ENVIRO technology Provecs addresses a wide range of tumors. The first product Immunalon is being developed as therapeutic vaccination against solid tumors with metastases in the liver. Immunalon is currently in preclinical development and has the potential to be the best treatment option for patients with liver cancer. 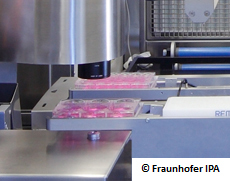 RS Zelltechnik develops and produces the Optical Stretcher, a flow cytometer for measuring mechanical properties of biological cells. The deformation of the cells arises from optical forces within a microfluidic system. The mechanical properties give insight into changes of cells, e.g. due to diseases. The system is also suitable for other single cell analysis methods, since the cells can be held stably in an optical trap.